AGFAcademy Highlights 2019 || The Journey So Far! 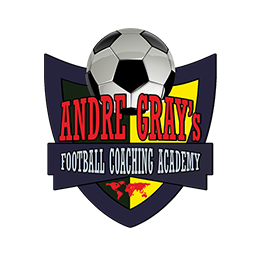 Andre Gray Football Academy is a charity initiative to support young footballers and coaches with underprivileged backgrounds third-world countries and ultimately, all lovers of football. Men of value are more concerned about legacies than they are about temporary or momentary benefits. Most of you know that we started this initiative about 4 months ago and from the very first time we started, a lot of individuals who are football lovers started participating right away. Andre Gray started this initiative with so much love in his heart and during this season of celebration of love, he has decided to look back and see how this initiative has impacted the lives of different people from different walks of life. AGFAcademy started about 4 months ago and so far we have over 200 participants from over 40 countries. Over 700 drill posts have been created making an average of 6 drill posts per day. $7,500 has been distributed to adults and to children (most of them, underprivileged) so far through the STEEM blockchain. Not only players, but also coaches are being supported by the AGFAcademy. A lot of time has been invested to make this all work by the Andre Gray team. It is also a great pleasure to know that these efforts are being appreciated; with so much love a documentary has been created to give you an overview of what people from all over the world think and feel about AGFAcademy. We believe you enjoyed what you just watched and if you are also a believer in this vision and would like to be a part of it, kindly visit the www.agfacademy.com for information on how you can support us and participate. Decentralized Football Academy cannot thank you enough Andre Gray! This vision you've set forth with @oracle-d is surreal. It is difficult to express in words how much this means to us. This entire experience; the economic support, the words of encouragement, the portal, the priceless educational knowledge, the camaraderie amongst the team members, is all made possible by the altruistic nature of you, and your amazing colleague's! @agfacademy is the best! Thank you so much, we will not let you down! We are proud of DFAcademy; your works are greatly appreciated! These words mean so much to us! We will continue to work hard!!! Thank you @agfacademy Andre Gray ! I couldn't have been more happier when you (Andre Gray) started up this initiative. You have kept smiles on lot of faces, including mine. Much blessings Fam! Wow wow! What's a day to send the word out about the love Andre has for these young ones. This is what making a global impact should be all about. I don't know a lot of Heroes but Andre definitely one! This speaks a lot to my heart. Andre is one man with a very big heart. I'm really touched and I can see super stars emerging because of what you did Andre! Thanks for your kind words @meemee. It has been a great pleasure for us so far. Agfacademy is an outstanding project that is indeed impacting lives of very many people in the developing countries. I am so greatful to Andre for such a unique wonderful initiative that is making a difference in Africa. You've been an amazing trainee of AGFAcademy @yohan2on! Keep the fire burning! Honestly I'm so grateful to Andre for this opportunity.. So many kids have been touched and only God can truly reward him. This is awesome. Football is a universal language and a decentralized academy will reach out to lots of people who would normally not be able to be in one. We have no doubt @belemo, there's a great potential to spread further in a world of emerging superstars. This is a pioneering initiative and everyone involved should be proud that it's changing lives across the world. Equally, the most important people in all this are the folks taking part and letting Andre take them on a journey. Well done @agfacademy! i am a volleyball player. bt like football much.. and i think i learn some skills from his video.. thanks for this lovely way of teach football.